If you are having problems with Tiny PXE Server then a packet trace and a log file may assist you with troubleshooting. If the error is due to a bug in Tiny PXE Server then the program author may be able to assist. Please contact the program author via the Bug Reports, Requests, HowTo's about Tiny PXE Server thread on reboot.pro. A wireshark packet trace and logfile and is likely to be requested. The iPXE Capturing a packet trace page details a complex setup using an "Interceptor Machine" for packet tracing - this may be useful if you have the required hardware. 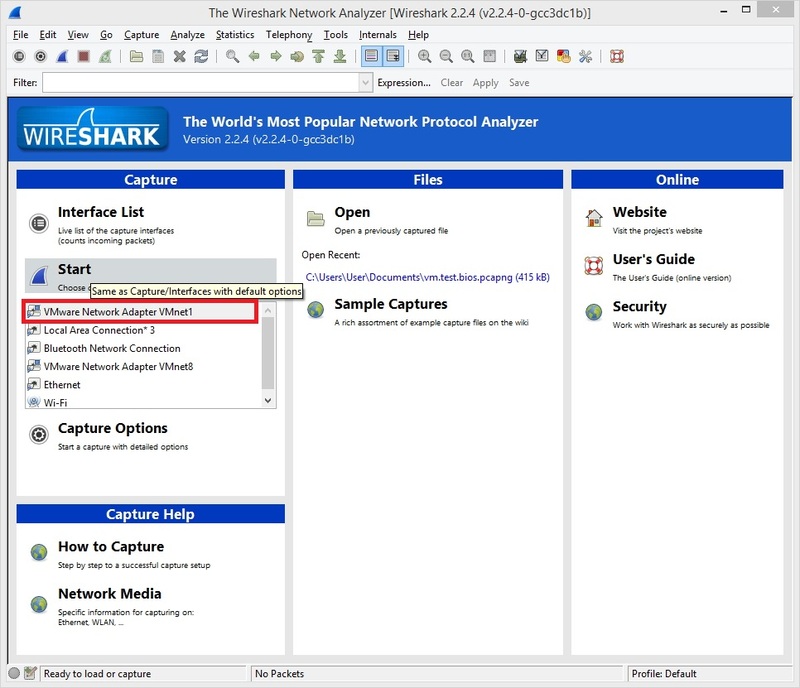 Download wireshark from here (version 2.2.4 used during testing). The screenshots below have been captured from Wireshark Legacy. After capturing the required information, Stop the capture (press the Ctrl+E keys - or Capture (tab) > Stop) and save the packet trace (press the Ctrl+S keys - or File (tab) > Save). The Tiny PXE Server logging function was removed in build 1.0.0.20 (Feb 12, 2017 - 19:29). A syslog daemon (syslogd.exe) is now included in the Tiny PXE Server download. Start the syslog daemon - Tiny PXE Server will now log to C:\pxesrv\log.txt - review this file as required for troubleshooting, etc.